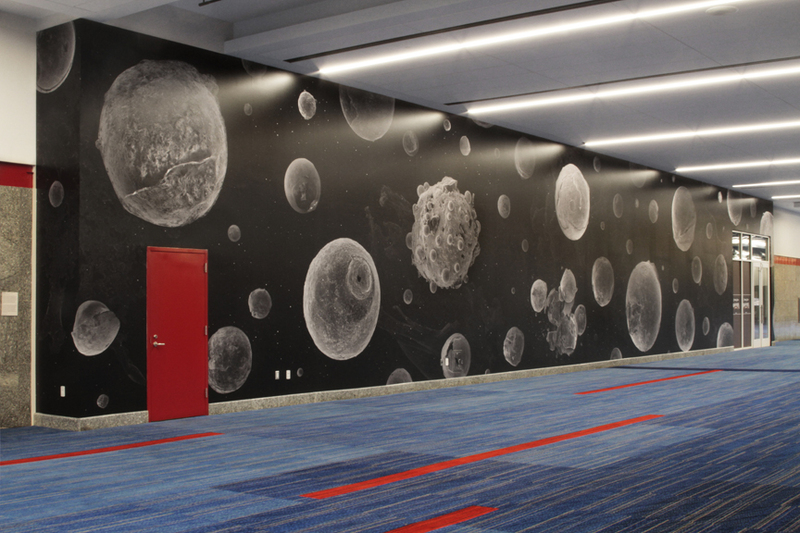 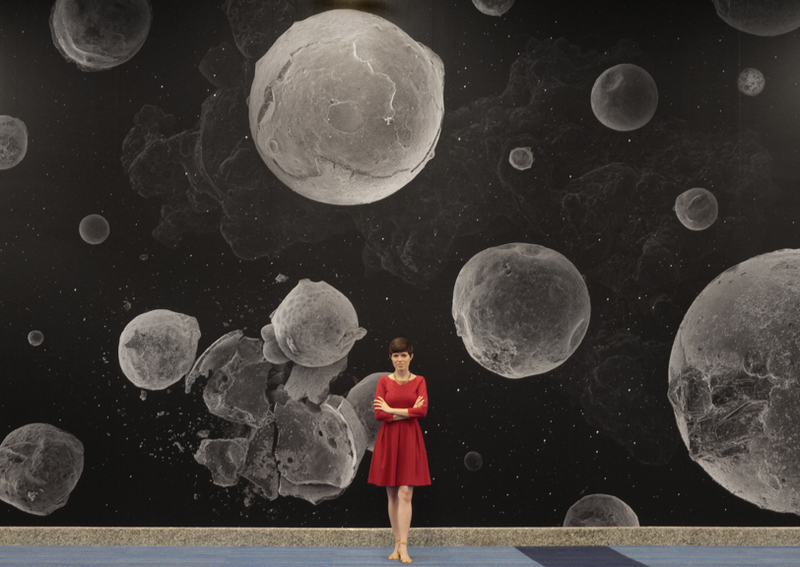 Metallographic Cosmos is a 1,400 square foot floor-to-ceiling wall print located on the first floor of Hall D in the George R. Brown convention center. 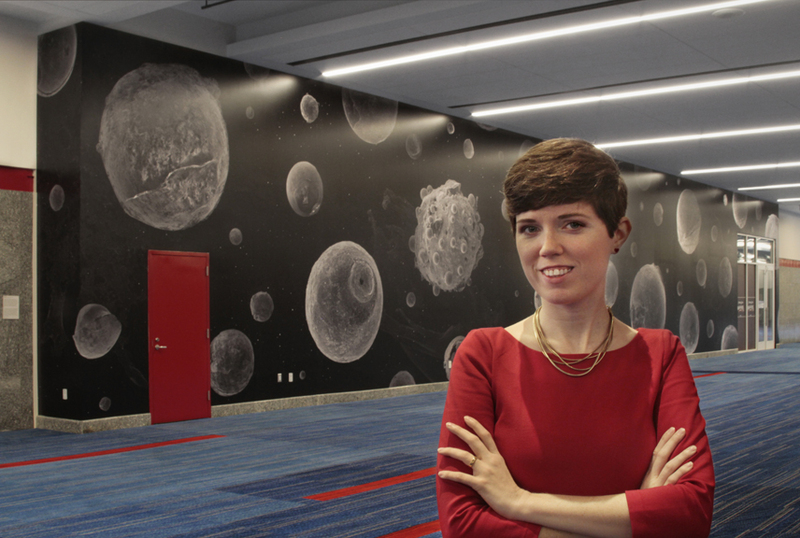 It works within the themes of space exploration and discovery, as well as the oil and gas industry that characterizes Houston. 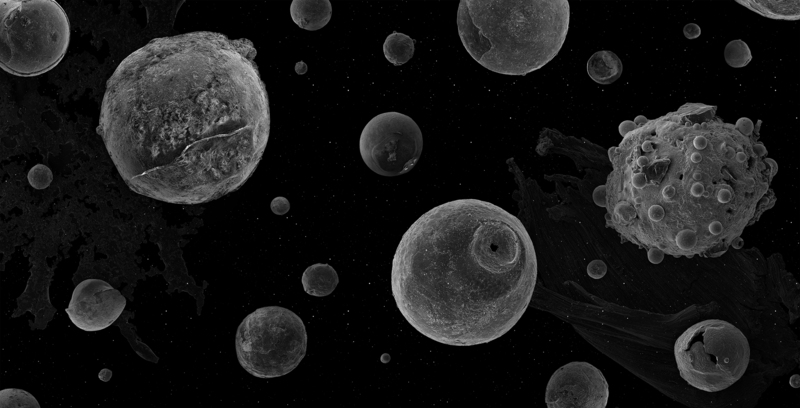 I utilized a scanning electron microscope (SEM) provided by Stress Engineering Services to create Metallographic Cosmos. 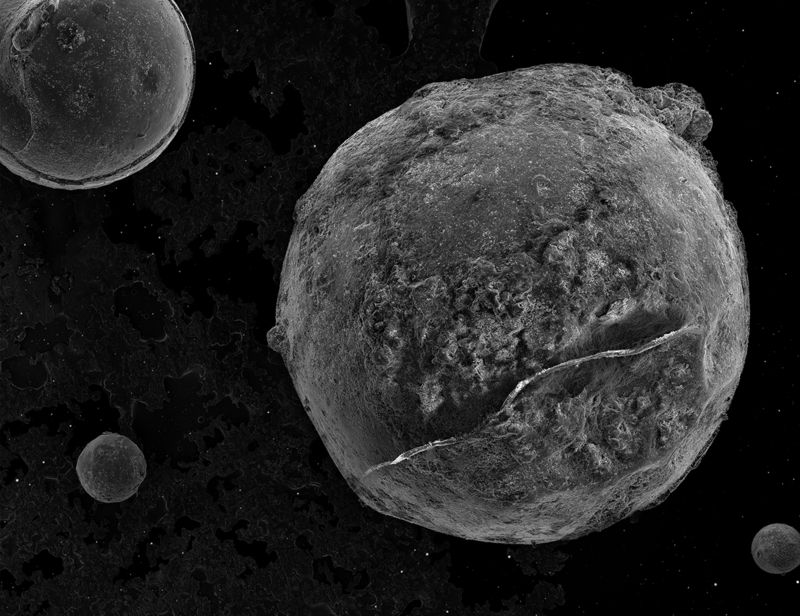 The microscope allows me to zoom in on a particle that may be no larger than the tip of a pen and enlarge it up to 100,000X its original size. 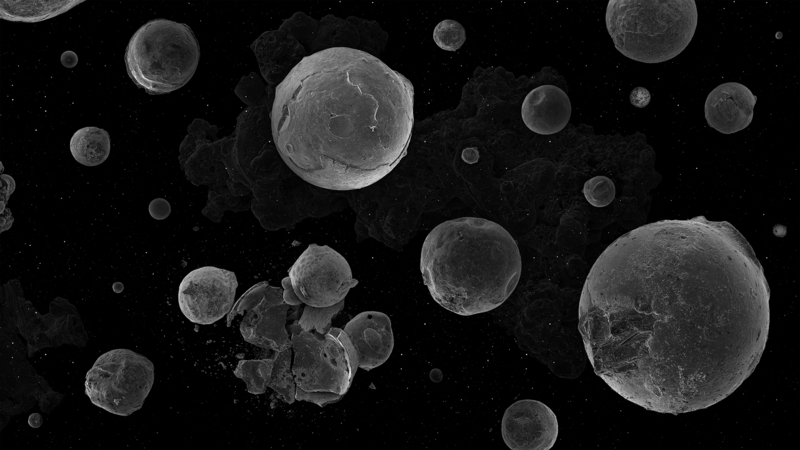 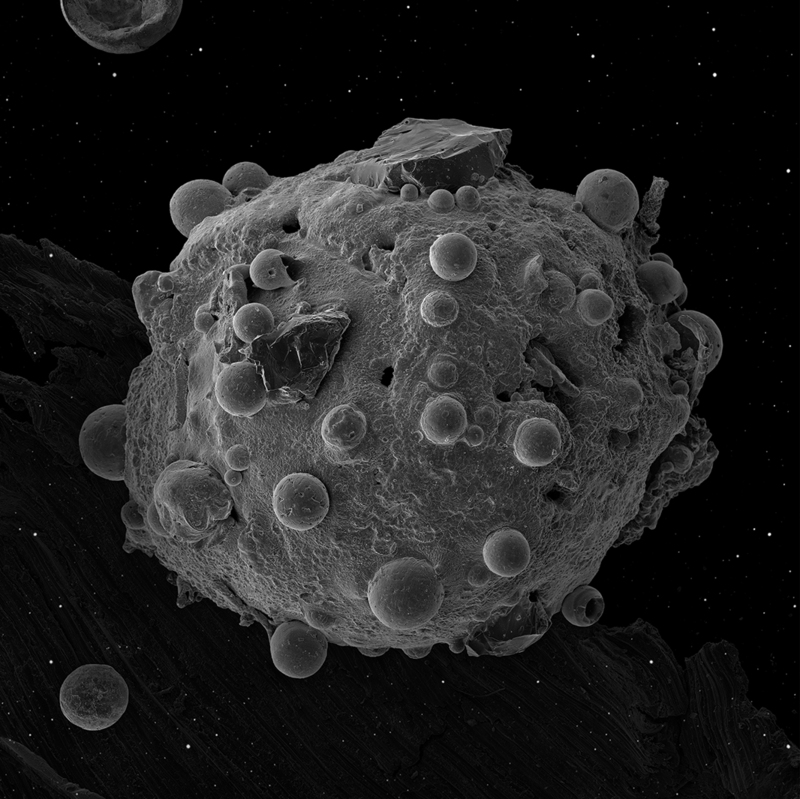 While utilizing the SEM for my job as a metallurgical photographer, I was awe struck by how planetary a few millimeter-sized welding spatter particles looked under the microscope. 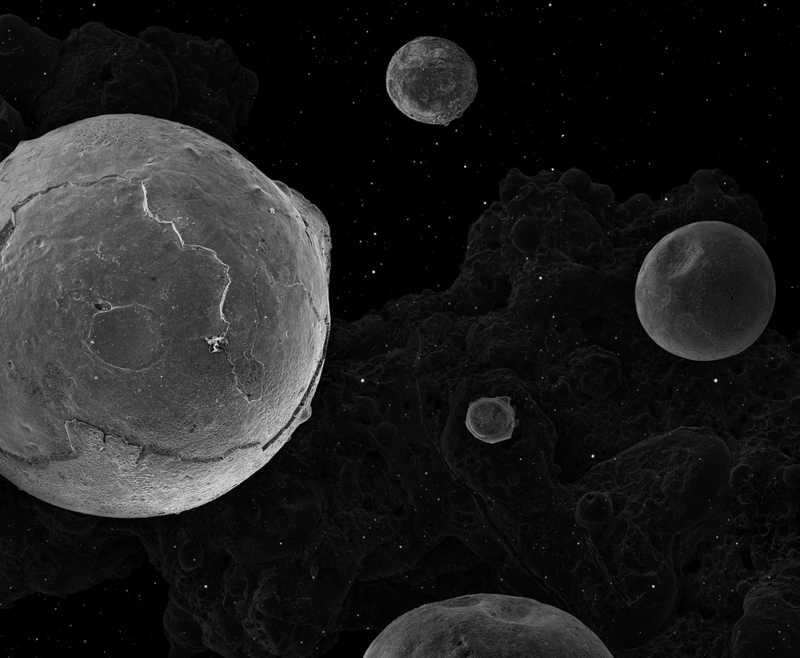 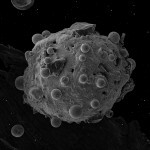 I instantly thought about how amazing it would be to create a “spacescape” out of the SEM photos. 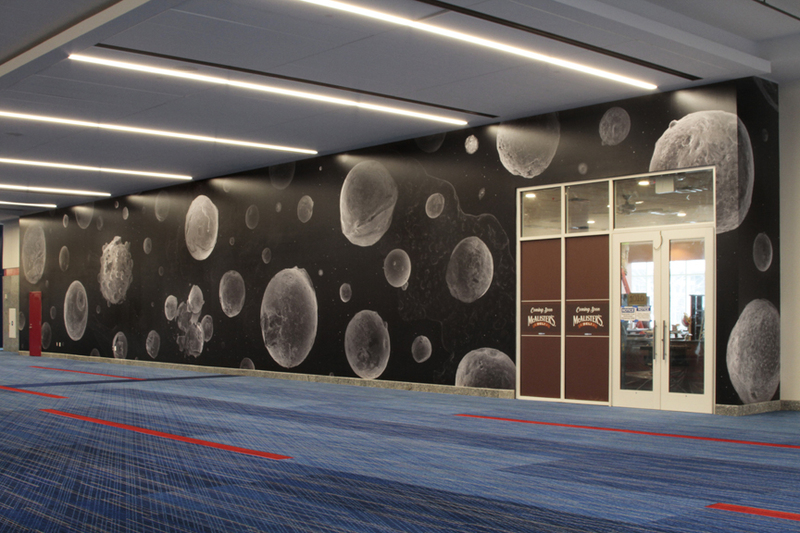 This project was made possible through Houston First Corporation and Stress Engineering Services.